The musings of the soul of an artiste who has spent 45 years in conversation with her instrument, the Saraswathi Veena! 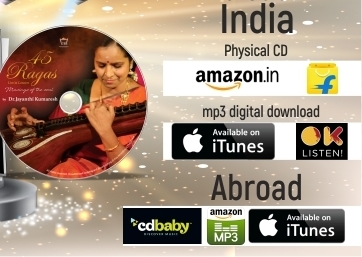 An artistic exhuberance of 45 Ragas rendered originally, non-stop for 113 minutes, extempore, Live in front of an audience in an unparalled manner. 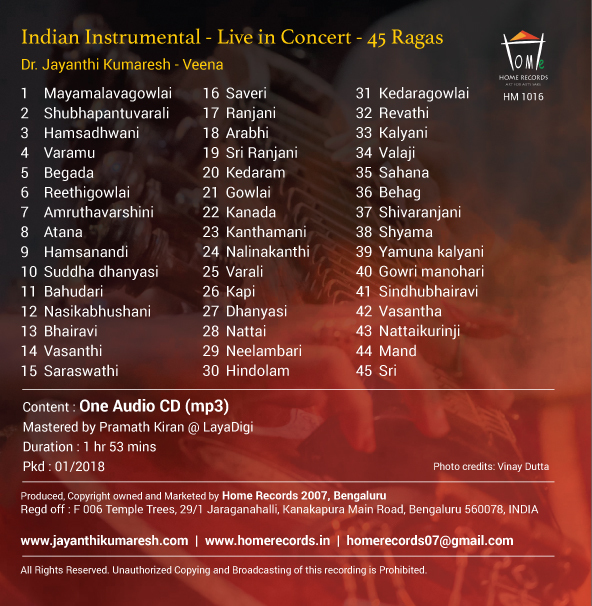 Dr.Jayanthi Kumaresh presents 45 Ragas, an ultimate expression of creativity that is so unique to Indian Classical music. “Raga alapana is the pinnacle of an artiste’s expression. To draw the rasa and bhava of the raga extempore within the boundaries of grammar with precise technique and innovation is the ultimate expression of creativity that is so unique to Indian Classical music. 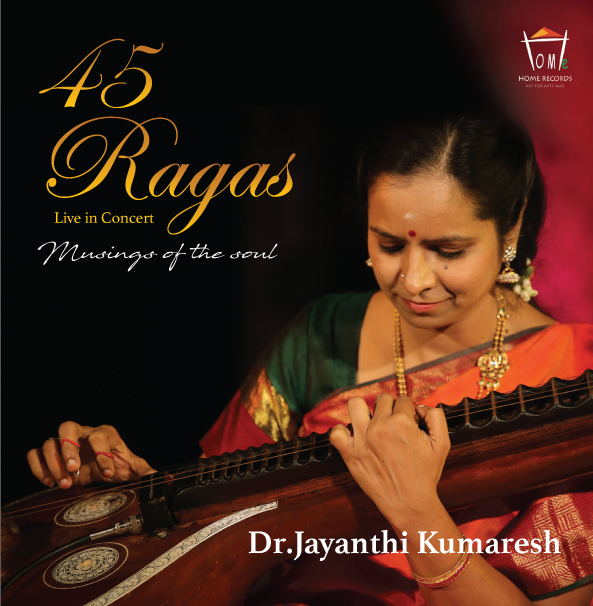 This album is a live recording of a concert in Chennai where I played 45 Ragas non-stop, one after the other, with a single meaningful bridge linking one raga to the next. My inspiration comes from a series of 45 Raga concerts done by my guru the Veena Wizard Dr.S.Balachander. He performed several such concerts without any other accompaniments with just the Veena and the ragas. I pray to the 45 Raga Devathas to bring in peace, harmony and compassion to mankind.